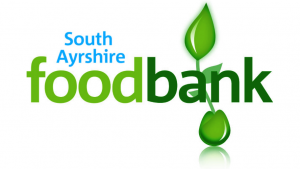 South Ayrshire Foodbank supplies emergency food to people in crisis. To access the service, Foodbank clients need a voucher supplied by their care professional or support worker. The charity operates a distribution point in Troon Old Parish Church twice a week, on Tuesdays and Fridays from 12 noon to 2 pm.